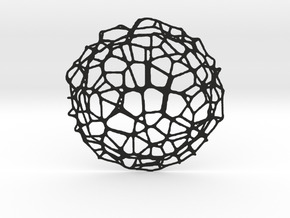 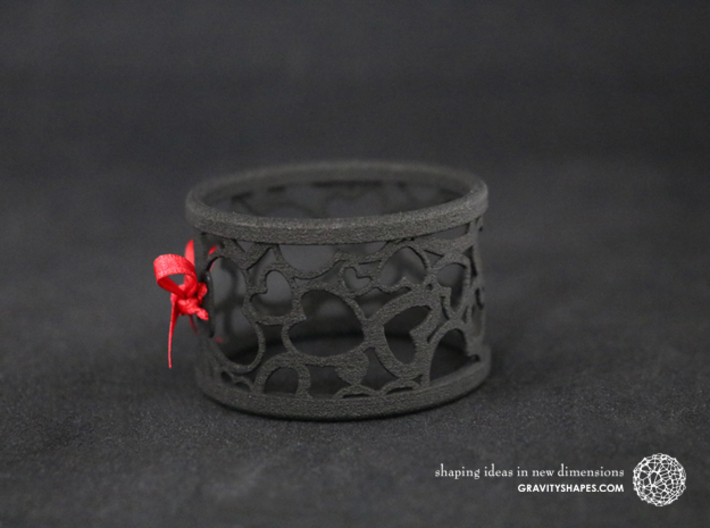 The photo shows prints made of black strong and flexible incl. 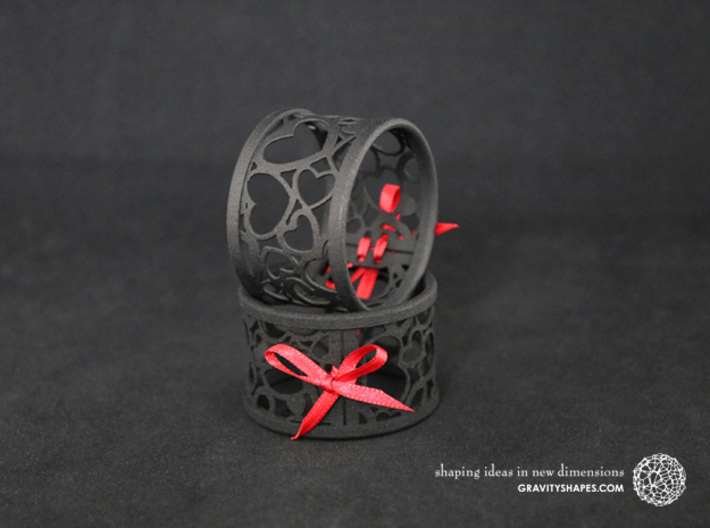 red lacing. 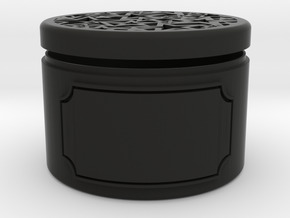 For a lovingly atmosphere and as an ideal gift not only for Valentines or Mother's Day. 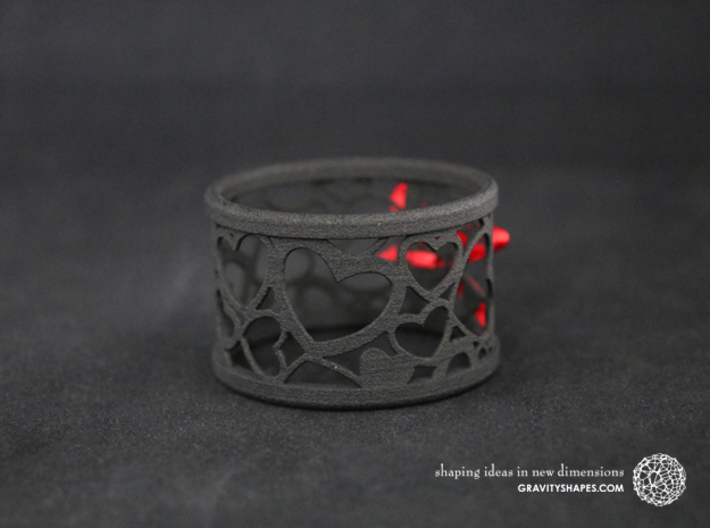 Lovingly made, these 3D printed napkin rings for textile napkin stand out for their beautiful little hearts patterns and colourful lacing*. 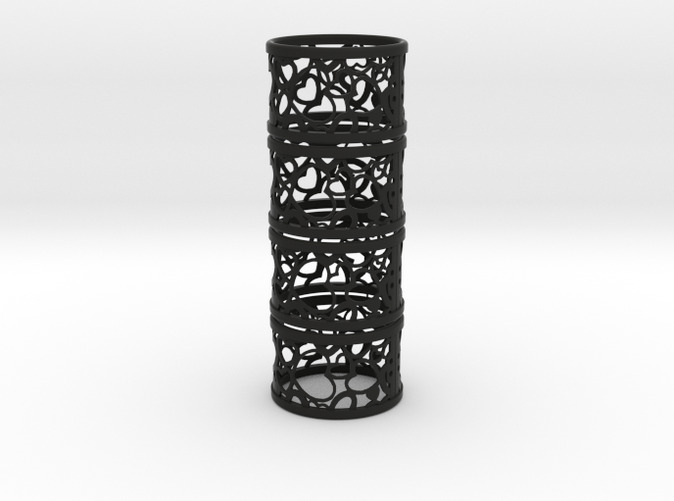 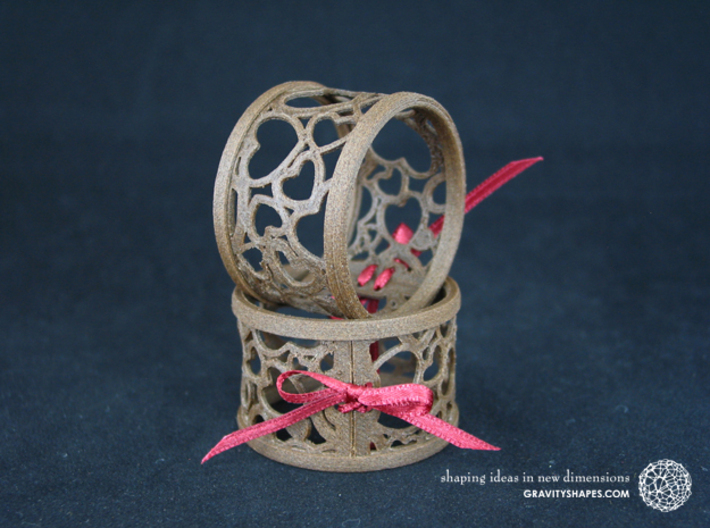 then these filigree, 3D printed and lovingly crafted napkin rings are the highlight of every table decoration. 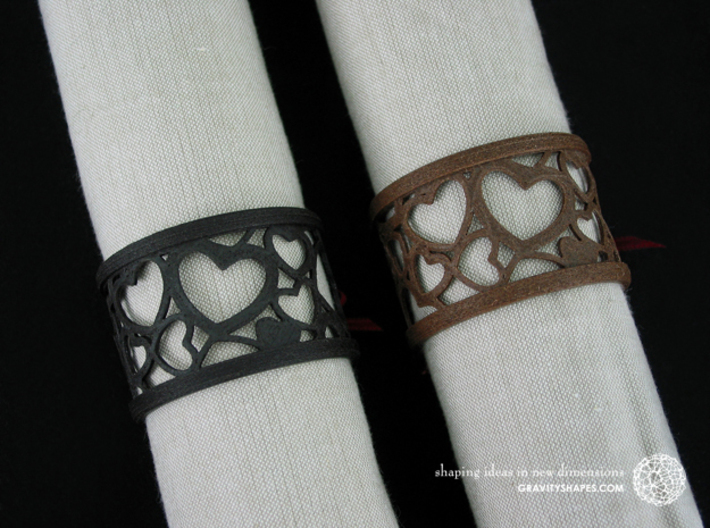 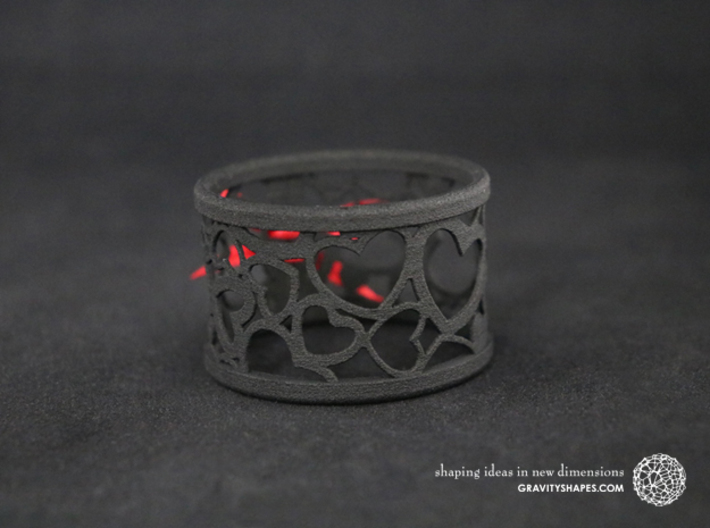 Whether black or in color, with a romantic heart pattern, stars or elegant mosaic, the designer napkin rings from the GRAVITYSHAPES collection are something very special! 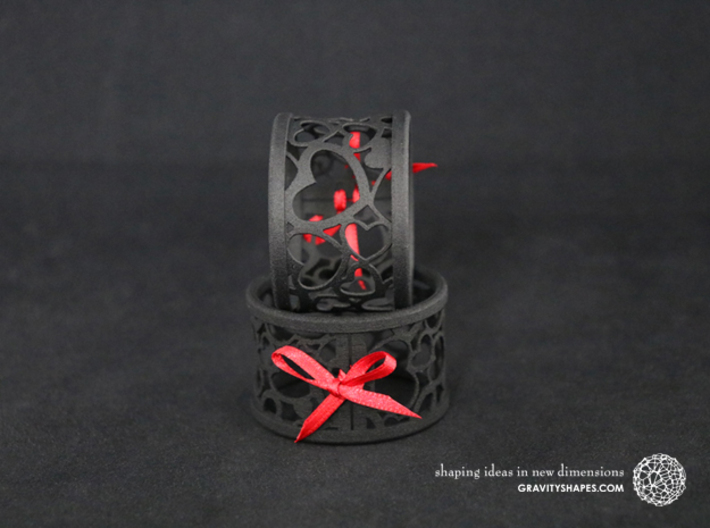 If you want to extend the decoration, you will find in the GRAVITYSHAPES collection, for example, various small and large tealight holders with the same patterns, which perfectly match the napkin rings and make the table decoration perfect. 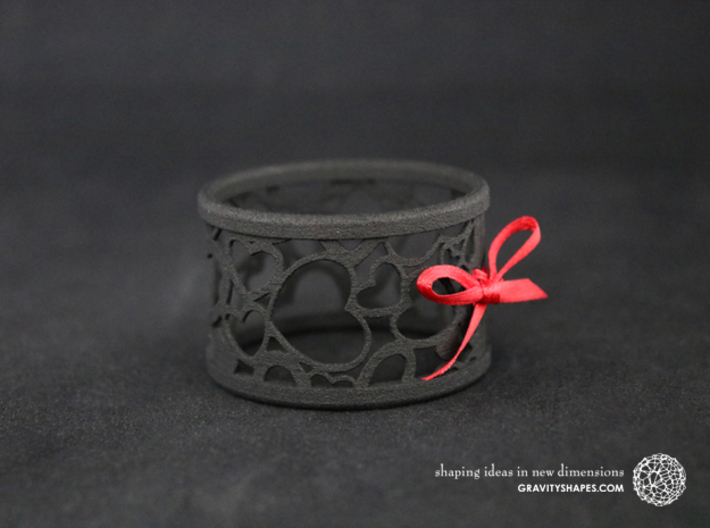 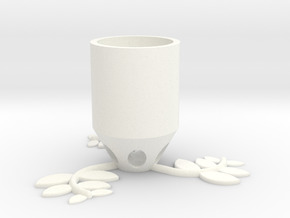 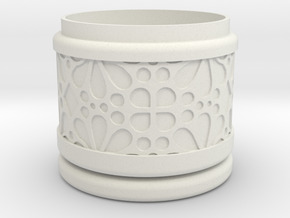 Decorated with your delicate lacing, the 3D printed and hand-crafted napkin rings are beautiful and lovingly crafted gift items which also fit well with other objects of the GRAVITYSHAPES collection. 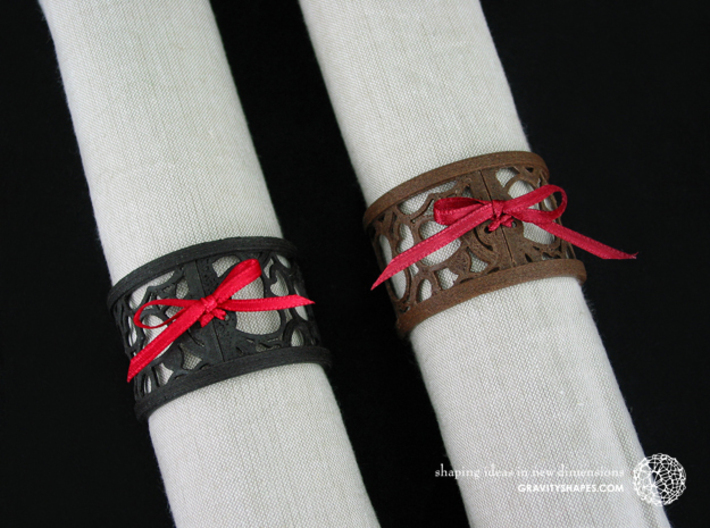 * The Lacing are not included: In this online shop you only buy the unlaced napkin ring(s). 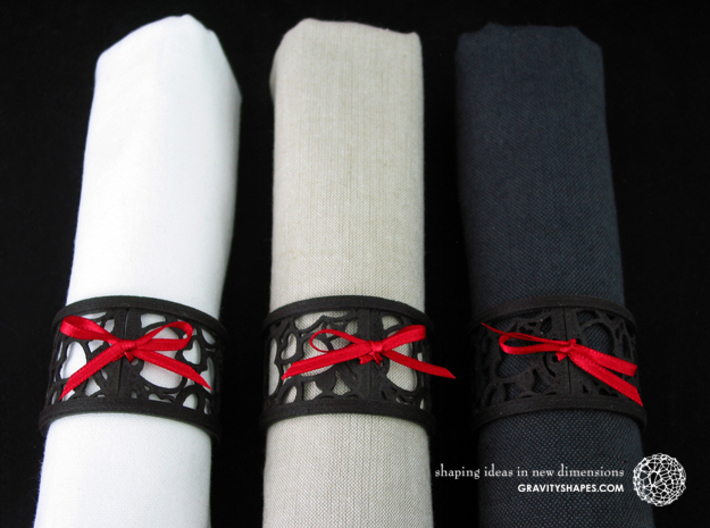 Apply a decorative lacing in the colour of your choice and give the gift a very personal touch. 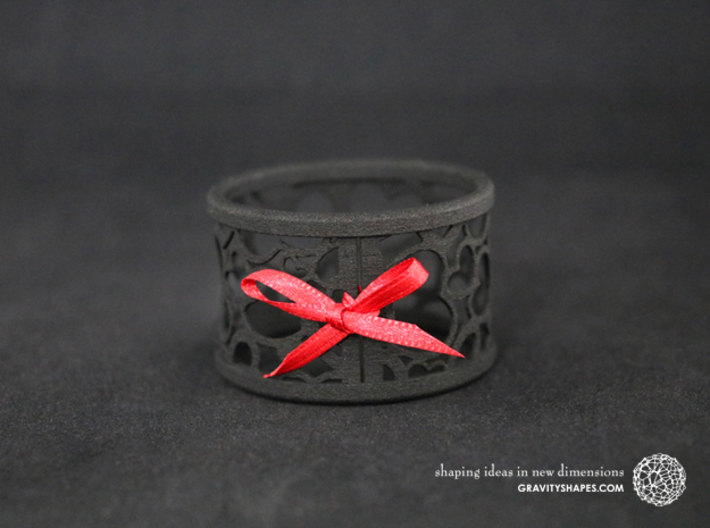 We recommend a 3 mm wide satin ribbon for lacing. 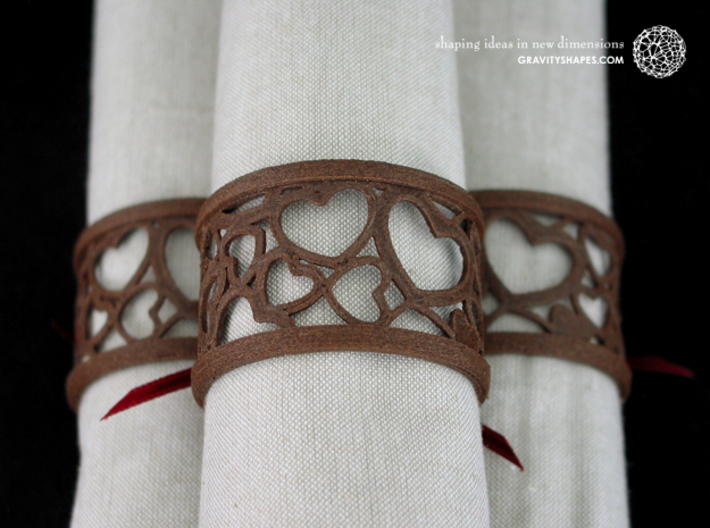 But you can also use thin cords etc.